Medical bills after accidents can cause financial devastation. Auger & Auger wants to make sure this does not happen to you. Our North Carolina accident lawyers will assist you in determining if someone else is responsible for covering your healthcare costs. If you were hurt by another person or company, that person should pick up the bills. We will work to make sure this happens so you can get the best of care, without worrying about out-of-pocket payments. The list goes on and on, and can be overwhelming. Even if you have excellent health insurance, chances are good that the co-pays alone can be enough to cause substantial financial stress. You may also need care which is not covered by a typical health insurance policy. You deserve to get this care. None of these bills should bankrupt your family, as the care should be paid for by those who caused your crash to occur. Who is Responsible for Medical Bills After a Car Accident? When you are in a collision, the insurance company for the driver who caused the wreck should be responsible for reasonably incurred medical bills. Unfortunately, there’s usually a delay in getting this money. You may have delays as you wait to finish treatment to determine the total costs of care. You may also have a delay in getting costs covered as you negotiate a settlement or go to court with your car accident claim. Have medical providers file directly with your health insurance, if you are covered. Keep records of the claims made with your insurance. Do not wait longer than necessary to have claims filed-you don’t want to give your health insurer the opportunity to deny your claim because you waited too long to file. If your health insurance pays your bills, you will still make a claim to get compensation from the auto insurer of the driver who caused the wreck. 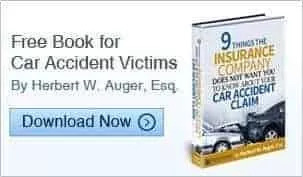 You want the insurer to pay not just your medical bills, but also your lost wages, and compensation for your pain and your emotional distress. If you are not covered by health insurance, we can make arrangements for you to obtain medical treatment on a “lien” basis. This means the medical provider will agree to treat you without being paid upfront, but you must sign a document promising their bill will be paid out of your settlement when your claim is resolved. Medical providers usually agree to this only if you are represented by an attorney. You may also be covered under your own automobile policy if you have a type of coverage called “Medical Payments.” This is an optional coverage, and you pay extra for it. The way Medical Payments Coverage works is simple: if you have $1,000 in coverage, and you incur $1,000 in bills, your automobile policy will pay you or the provider the $1,000 or will reimburse your health insurer for the $1,000 if the health insurer paid. When your health insurer pays the bills and you get compensation from a car insurer for pain and suffering, you need to be aware that the insurer may try to take some of your settlement money. Some health insurance policies have a right of subrogation. This means if a third party is responsible (such as an auto insurer), the health insurer has a right to get paid back what they paid out for your care. We can negotiate with these health insurance plans to pay back a lesser amount than they paid in benefits. Whatever your insurance situation, the goal after an accident is to get your bills paid so you can get the medical care you need to recover. Auger & Auger can help. We deal exclusively with personal injury cases and will fight for your right to get full coverage for medical care and other losses. Please call us today for a free consultation to learn more.